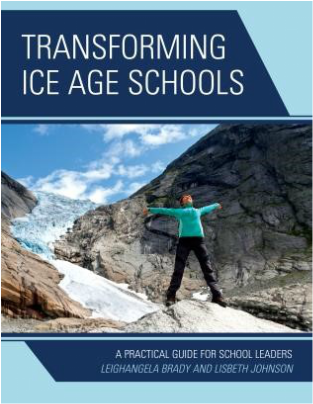 On today's episode I chat with Dr. Liz Johnson and Dr. Leighangela Brady about leadership's role in transforming school culture. 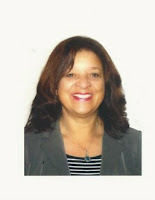 Lisbeth Johnson, Ed.D. was born in North Carolina and raised in Harlem, New York City . She moved to California in her teens and attended schools in Southern California. She received her doctorate degree in education in 2002 from the University of La Verne and completed her dissertation on the topic of Integrating Instruction with Technology. She has worked in educational settings for forty years in Pre-Schools, Kindergarten and K-12, through Post- Secondary institutions. She has been a teacher, reading resource support instructor, a Principal, Director and Assistant Superintendent of Curriculum and Instruction and a Superintendent. With a passion for on-going learning, Lisbeth is inspired to coach schools that are attempting to instruct students in the digital and twenty-first century environment. She recently received a Leading Edge Certification for Online Learning and Teaching, adding new learning and expertise to her repertoire on the value of using Web 2.0 tools for student learning. In her retirement Lisbeth continues to teach at a University, and enjoys in her off-time the support of travel to far-away places with a loving family. Born and raised in New England, Leighangela Brady received both her B.S. and M.A. degrees from the University of Connecticut. Now living in San Diego, she earned her Ed.D. in educational leadership from San Diego State University. Dr. Brady has taught in various teaching assignments from kindergarten through fifth grade. Later she served as an academic literacy coach for teachers. This position ignited an already sparked passion for curriculum and instruction and helped to further develop her strength as a curriculum leader. Dr. Brady is a former principal of a K-6 elementary school. As a site administrator, educational consultant, and instructional leader, Dr. Brady is passionate about quality education and effective leadership. 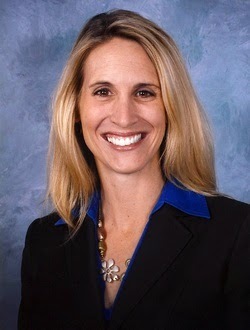 She is a current Assistant Superintendent of Educational Services working to transform the schools in her own district. She is an author of Test Less, Assess More: A K-8 Guide to Formative Assessment, and presents annually at national and international conferences. Leighangela is a wife and mother, and plans to retire one day at her home in the Fiji Islands.